Although the early part of March kept many of riveted watching the unfolding drama of Godzone2018, there has been very little orienteering activity until the ONZ Championships over Easter. With Easter overhanging March into April, I have left this issue until completion of competition and selection or partial selection of JWOC, WOC and WUOC teams, along with the round-up of what has been going on with our overseas based contingent. The ONZ Champs 2018 finally gave all those who did not (or were too young) to compete the chance to experience the maps prepared for and used at WMOC2017. 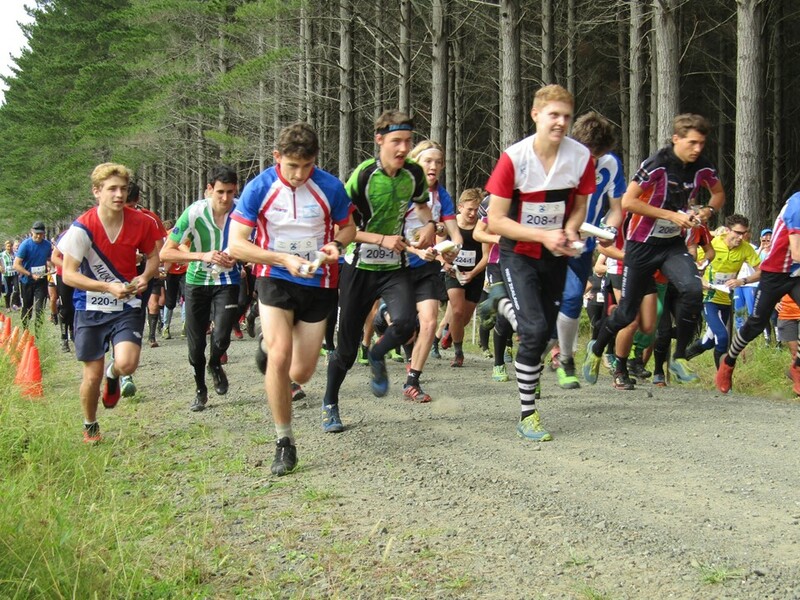 The champs were also, of course, trails for New Zealand teams for the three major international championships – JWOC, WOC and WUOC (World University Championships), as well as featuring the only two world ranking events scheduled to be held in New Zealand in 2018. Proceedings kicked off with the sprint on Auckland University, a small but highly complex area of buildings, courtyards, and many, many steps. The elites and the 20’s were both included in the WRE, with quarantine and the start order according to world ranking new experiences for many of the younger athletes. In the M21E Matt Ogden pulled off an 8 second win over Cameron Tier, although the fastest time, and most world ranking points, went to Cameron de L’Isle in M20. Tommy Hayes was 3rd in the elites, with Daniel Monckton and Will Tidswell filling the minor places in M20. Interesting (?) that the top 5 in M21E were all present or past students of Auckland University! In the women, Amber Morrison retained the W21E title that she won in Hastings in October, but the next 4 fastest times all went to W20’s – Meghan Drew, Lara Molloy, Katie Cory-Wright and Jenna Tidswell, all faster than 2nd and 3rd placed Imogene Scott and Renee Beveridge in W21E. M21E: 1. Matt Ogden (NW) 14:47, 2. Cameron Tier (NW) 14:55, 3. Tommy Hayes (AK) 15:13, 4. Devon Beckman (HB) 15:25, 5. Gene Beveridge (NW) 16:02, 6. Ed Cory-Wright (PP) 16:16. W21E: 1. Amber Morrison (HB) 15:20, 2. Imogene Scott (AK) 16:31, 3. Renee Beveridge (NW) 16:51, 4. Amelia Horne (RK) 18:06, 5. Alice Tilley (NW) 18:11, 6. Selena Metherell (PP) 18:38. M20: 1. Cameron de L’Isle (NW) 14:41, 2. Daniel Monckton (NW) 16:14, 3. Will Tidswell (HB) 16:44, 4. Kurtis Shuker (CM) 17:07, 5. Max Griffiths (NW) 17:11, 6. Joseph Lynch (PP) 17:41. W20: 1. Meghan Drew (AK) 15:38, 2. Lara Molloy (WN) 16:08, 3. Katie Cory-Wright (PP) 16:21, 4. Jenna Tidswell (HB) 16:22, 5. Heidi Stolberger (NW) 16:39, 6. Jessica Sewell (NW) 16:49. Hedley Dunes, the venue for the WMOC2017 Long Distance Final was always going to prove an extreme technical challenge and, with 16 km plus for M21E, and 10.1 for W21E, also a severe physical challenge. As it turned out clean runs were as rare as hen’s teeth and the lead changed hands several times in both elite races. In M21E Matt Ogden led through the first 16 controls, building a nearly 2 and a half minute lead. A 5 minute error on 17 saw Tommy Hayes take over the lead and hold it through the arena run through at which point he was about 1 minute ahead of Cameron Tier, with Chris Forne now in 3rd, and Gene Beveridge, running strongly but who had himself lost a massive 7 minutes on control 5, in 4th. A big mistake by Chris on 31 saw him drop out of contention and as Tommy and Cameron both dropped time on each of 34, 35 and 36, Gene hit the front for the first time at the penultimate control, holding on to oust Tommy by just under 3 minutes and another 90 seconds back to Cameron. Although the winning time of 1:56:03 was 16 minutes behind, summing all the fastest splits gave a time with 25 seconds of the 100 minute estimated winning time. Things were a little less topsy-turvy in W21E where it was pretty much a re-run of ONZ2017 where Renee Beveridge pipped Amber Morrison by a small margin. This time around Amber led for the first 11 controls before a nearly 12 minute error on 12 put Renee, despite a nearly 3 minute time loss of her own, into the lead. She held this for just 3 controls before Amber hit the front again, before Renee took advantage of another small time loss to reclaim it for good at control 20. Behind these two Imogene Scott had suffered two big errors in the first 8 controls before being nearly faultless from then on, while Lara Molloy, running up a grade, made mistakes early before having the fastest split from the arena run through to the finish. M20 and W20 were much less dramatic in terms of changes in the lead. In the men it was almost a straight battle between Joseph Lynch and Cameron de L’Isle, Joseph coming out on top by 42 seconds, while in W20 a really impressive, and near faultless, run from Katie Cory-Wright saw her retain her title from 2017. M21E: 1. Gene Beveridge 1:56:03, 2. Tommy Hayes 1:58:50, 3. Cameron Tier 2:00:07, 4. Chris Forne (PP) 2:01:23, 5. Matt Ogden 2:01:36, 6. Scott McDonald (HB) 2:09:06. W21E: 1. Renee Beveridge 1:34:59, 2. Amber Morrison 1:36:07, 3. Imogene Scott 1:37:40, 4. Michaela Chmelarova (CZE) 1:46:34, 5. Lara Molloy 1:49:04, 6. 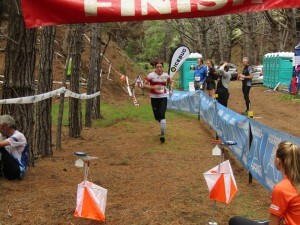 Tessa Ramsden (RK) 1:59:01. M20: 1. Joseph Lynch 1:14:02, 2. Cameron de L’Isle 1:14:44, 3. Max Griffiths 1:16:59, 4. Daniel Monckton 1:17:40, 5. Kurtis Shuker 1:25:33, 6. Will Tidswell 1:26:02. W20: 1. Katie Cory-Wright 1:00:33, 2. Jenna Tidswell 1:03:38, 3. Marisol Hunter (PP) 1:07:53, 4. Meghan Drew (HB) 1:09:35, 5. Briana Steven (PP) 1:10:27, 6. Marina Comeskey (WN) 1:17:14. The middle distance on Easter Sunday saw proceedings move to the steeper northern part of the Temu Road map used for WMOC2017 qualification. Whereas in the long distance mistakes proliferated even for the eventual winners, in the middle, although there were multiple time losses in the complex topography, the titles went to athletes who had near perfect runs. In M21E, after his problems in the long, Matt Ogden absolutely smashed the field in what is his preferred distance, running 22 of the fastest splits and carving out a winning margin of about 6 minutes over surprise runner up Nick Smith. Third and fourth places went to veterans at this level – Karl Dravitzki and Chris Forne. W21E was again a battle between Amber Morrison and Renee Beveridge, but this time Amber was not to be denied and added the middle title to her sprint by just over a 2 minute margin. Overall therefore W21E was a repeat of 2017 with Amber taking the sprint and middle, but being shaded out by Renee in the long. In the battles for JWOC selection Lara Molloy, dropping back to W20 for the middle, was a relatively untroubled winner, leading for all but about 2 controls, ahead of Jenna Tidswell, with Marisol Hunter in 3rd. M 20 was by far the closest race with only 22 seconds between 1st and 3rd. Although the lead changed hands several times between Daniel Monckton, Callum Hill and Joseph Lynch, it was Daniel who took the victory. Max Griffiths, with perhaps the cleanest run of the top 4, actually came through fro 2nd, with Callum in 3rd. M21E: 1. Matt Ogden 34:22, 2. Nick Smith (PP) 40:36, 3. Karl Dravitzki (TK) 42:02, 4. Chris Forne 42:38, 5=. Ed Cory-Wright (PP) 43:45, 5=. Gene Beveridge 43:45. W21E: 1. Amber Morrison 36:49, 2. Renee Beveridge 39:05, 3. Imogene Scott 44:35, 4. Tessa Ramsden 50:28, 5. Michaela Chmelarova 51:07, 6. Selena Metherell 1:00:52. M20: 1. Daniel Monckton 34:03, 2. Max Griffiths 34:12, 3. Callum Hill (NW) 34:25, 4. Joseph Lynch 35:29, 5. Will Tidswell 36:15, 6. Ryan Williams (AK) 38:26. W20: 1. Lara Molloy 35:18, 2. Jenna Tidswell 37:35, 3. Marisol Hunter 39:26, 4. Heidi Stolberger 41:06, 5. Katie Cory-Wright 41:57, 6. Tegan Knightbridge (NW) 44:08. The new relay format, having a specific open grade, presented the chance for some really competitive racing, and this indeed proved to be the case. The open course took the runners from the gently sloping northern reaches of the area into and along the intricate coastal strip, before climbing back to the arena. PAPO and Hawkes Bay in the forms of Joseph Lynch and Scott Macdonald respectively led the field at the end of leg 1, ahead of Auckland’s Tommy Smith, and with the North West pair of Cameron de L’Isle and Gene Beveridge in hot pursuit. The slightly shorter second leg was generally the preserve of the women and developed into a battle between Amber Morrison and Imogene Scott with PAPO in the form of Katie Cory-Wright dropping slightly off the pace. 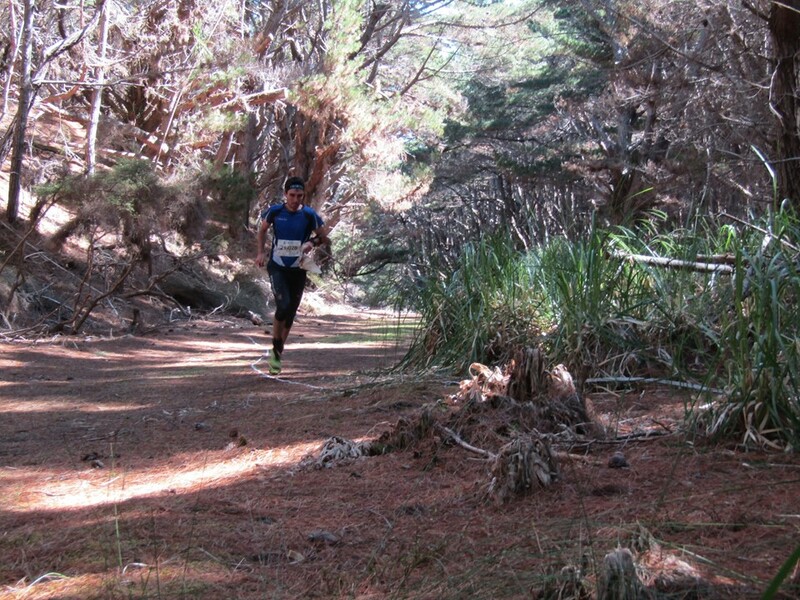 The leg ended with Ryan Williams for Auckland heading off seconds ahead of Devon Beckman for the Bay. Two minutes behind loomed the extensive experience and strength of Chris Forne for PAPO, with a charging Matt passed Ryan, there was no stopping Devon who brought Hawkes Bay home for the first relay win in several years. Chris and Ryan cemented the minor placings for PAPO and Auckland respectively. Open relay: 1. 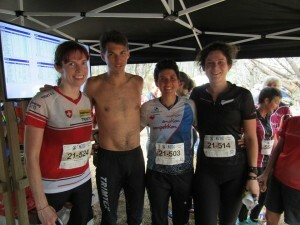 Hawkes Bay (Scott Macdonald, Amber Morrison, Devon Beckman) 1:39:26, 2. PAPO (Joseph Lynch, Katie Cory-Wright, Chris Forne) 1:41:43, 3. Auckland (Tommy Hayes, Imogene Scott, Ryan Williams) 1:44:24, 4. North West (Cameron de L’Isle, Jessica Sewell, Cameron Tier) 1:45:28, 5. PAPO (Nick Smith, Marisol Hunter, Ed Cory-Wright) 1:45:39, 6. North West (Gene Beveridge, Heidi Stolberger, Matt Ogden) 1:45:41. Following the conclusion of the ONZ Championships eight athletes were named in the team for JWOC, to be held in Hungary from8-15 July. A further 4 athletes will be added after the second set of trials in Canterbury on 5/6 May. 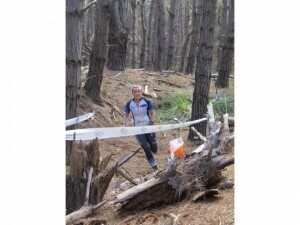 Entry details are at https://www.orienteering.org.nz/events/hogsback-ultra-long/ For now, congratulations to the following. 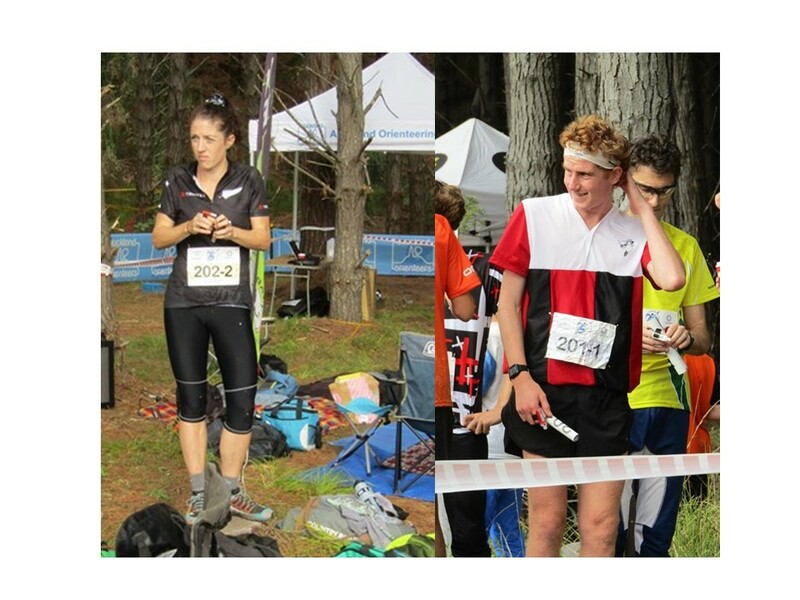 The three individual races and the relay at the ONZ Champs all counted to Round 2 of the 2018 SuperSeries. With 5 races out of 10 now run the individual competition has reached the halfway point and there are distinct pointers to who is likely to be at or near the top come the culmination at Queens Birthday. In the Senior Men Matt Ogden has built up a very healthy 156 point lead which will be difficult to overturn. Closest challengers are Tommy Hayes, Cameron Tier and Aaron Prince. Although Round 3 in the Canterbury high country may favour Aaron, the return to Woodhill Forest for the final round is more likely to work in favour of the three northerners. The pre-Godzone injury to Nick Hann looks to have ended any chances he had of a threepeat. The two outstanding elites from the ONZ Champs, Amber Morrison and Renee Beveridge, lead the way in Senior Women, with amber having a 69 point lead, largely based on her much better sprint result. Final year junior Lara Molly holds 3rd place. The Junior Men are headed by Joseph Lynch with Stephen Harding and Will Tidswell in 2nd and 3rd, all three benefitting from being the only athletes to have run all 5 races held so far, meaning that big changes may occur over Rounds 3 and 4. The Junior Women are led by Marisol Hunter with an 82 point margin over Briana Steven. However only 56 points cover 2nd to 7th, again suggesting that Rounds 3 and 4 will be crucial. Leading positions and points are as follows. Senior Men: 1. Matt Ogden (NW) 405, 2. Tommy Hayes (AK) 249, 3. Cameron Tier (NW) 221, 4. Aaron Prince (PP) 207, 5. Scott Macdonald (HB) 184, 6. Gene Beveridge (NW) 180, 7. Cameron de L’Isle (NW) 135, 8. Nick Hann (PP) 124, 9. Tim Farrant (PP) 111, 10. Nick Smith (PP) 104. Senior Women: 1. Amber Morrison (HB) 2160,80, 2. Renee Beveridge (NW) 211, 3. Lara Molloy (WN) 195, 4. Tessa Ramsden (RK) 194, 5=. Sarah Prince (PP) 160, 5=. Imogene Scott (AK) 160, 7. Ellie Molloy (WN) 159, 8. Marina Comeskey (WN) 158, 9. Amelia Horne (RK) 155, 10. Marisol Hunter (PP) 153. Junior Men: 1. Joseph Lynch (WN/PP) 370, 2. Stephen Harding (PP) 283, 3. Will Tidswell (HB) 265, 4. Daniel Monckton (NW) 230, 5. Max Griffiths (NW) 185, 6. Cameron de L’Isle (NW) 180, 7. Oliver Egan (PP) 150, 8. Kurtis Shuker (CM) 128, 9=. Felix Harrison (PP) 108, 9=. Ryan Williams (AK) 108. Junior Women: 1. Marisol Hunter (PP) 337, 2. Briana Steven (PP) 255, 3. Marina Comeskey (WN) 251, 4. Jenna Tidswell (HB) 210, 5. Katie Cory-Wright (PP) 205, 6. Tegan Knightbridge (NW) 204, 7. Georgia Skelton (CM) 200, 8. Jessica Sewell (NW) 187, 9. Lara Molloy (WN) 180, 10. Meghan Drew (AK) 178. Northern (474, 1350) 1824, 2. Central (44, 1156) 1590, 3. Southern (600, 912) 1512. 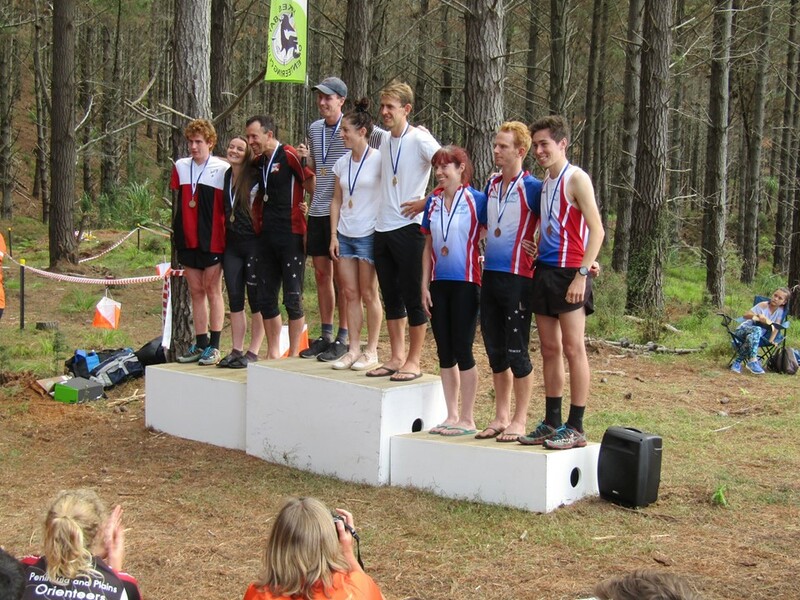 While New Zealand based orienteers have been preparing for the ONZ Championships there has been a flurry of activity overseas. The weekend before Easter saw a collection of our overseas based elites – Tim Robertson, Toby Scott, Kate Morrison, Jula Macmillan – in action at WRE’s at Danish Spring 2018. Not unexpectedly Tim was the top performer although he made an uncharacteristic mistake in the sprint where he mistook an inverted numberl 9 for number 6 and dropped from 1st place to ultimately finish 7th, 40 seconds down on winner Soren Bobach. The mistake is easy to understand when you look at the race-oriented map above. Toby was 48th a further 90 seconds behind Tim. In the women’s race Kate was 27th, with Jula 38th. Tim made considerable amends in the middle distance with an excellent 3rd place, again behind Bobach, with Toby in 49th and Kate 38th in the women. In the long distance on the last day it was Tim in 13th, Toby 34th and Kate 28th. Overseas competition continued over Easter weekend with Laura Robertson finishing 4th in the sprint and 6th in the middle distance at the JK, the big UK Easter event. Meanwhile, to the south, Toby finished 30th in the middle distance at the 3 jours de Paques en Bougogne-Franche-Compte, before finishing 20th in the long distance on day 2, before finishing with an excellent 3rd placing in another long distance on the final day. 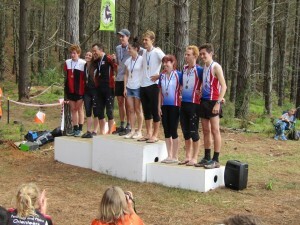 Of course, early in March attention was centred on the riveting Godzone battle between two teams replete with orienteers (something that rarely gets mentioned in the media coverage). Congratulations to Chris and Emily Forne and Aaron Prince if Yealands Family Wines on the victory, but also to Swordfox team members Brent Edwards and Georgia Whitla for helping to make it such an exciting and epic race. Tane Cambridge in the Sneaky Weasel Gang also made it into the top 10, finishing 9th.